Tamara is a Masters Graduate in Womens Studies from the Univesity of York in the United Kingdom and prior to this, she completed her Bachelor of Arts degree in Media Studies and Psychology and her Honours in Media Studies at the University of Witwatersrand. Before returning to South Africa, Tamara was a research member of the United Nations Association of the National Capital Areas Sustainabilty Development Committee as well as the Education Working Group in Washington, D.C. Here she assisted in brainstorming Policy recommendations to further advance education development globally and locally. Tamara has also participated in a range of volunteering activities; one being a solo trip to Ecuador last year, where she volunteered as an English teacher at the Museo Otavalango in Otavalo, Ecuador. She developed a syllabus for students, which ranged from beginner to intermediate levels of the English Language and assisted them in their language development. 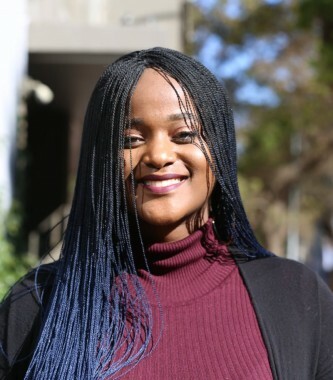 Tamara is our newest member of the CSI Internship program and she is thoroughly looking forward to learning and growing within the Sonke Gender Justice professional environment.